A few months ago I was contacted by Hershey Park about building a magical music box. They were doing a Christmas show and wanted an exquisite antique music box owned by Santa. 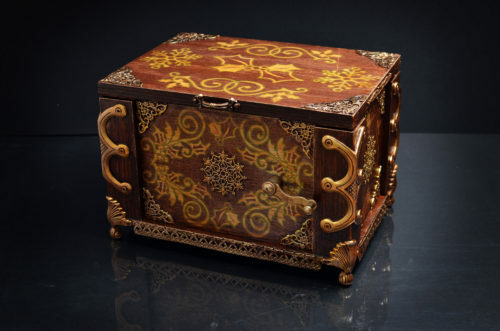 It had wood inlay designs and brass details. 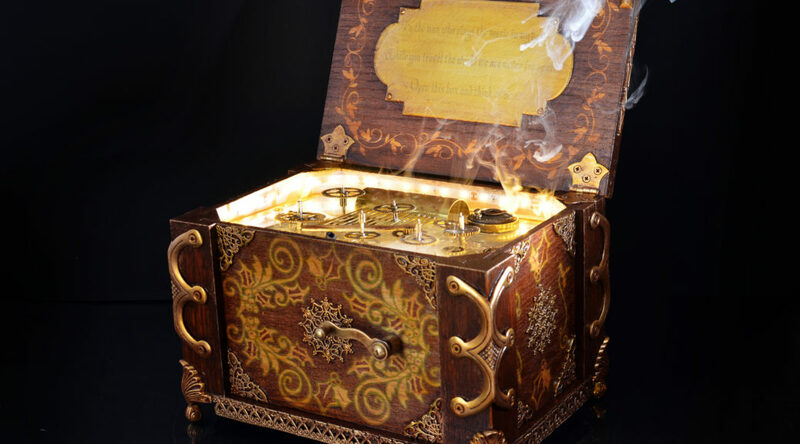 The actors would dance with it, but they wanted it to be able to light up, emit fog, and have the winding handle turn on its own. 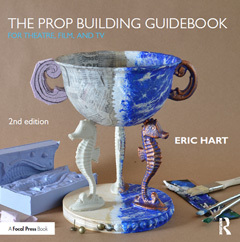 This was a tight turnaround; 34 days from initial contact to having the prop in their hands. Nearly half of that was just hashing out the design and working on the contract. 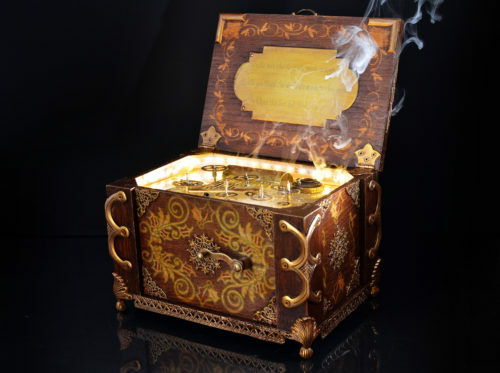 The inside of the lid had an inscription and some inlay work. 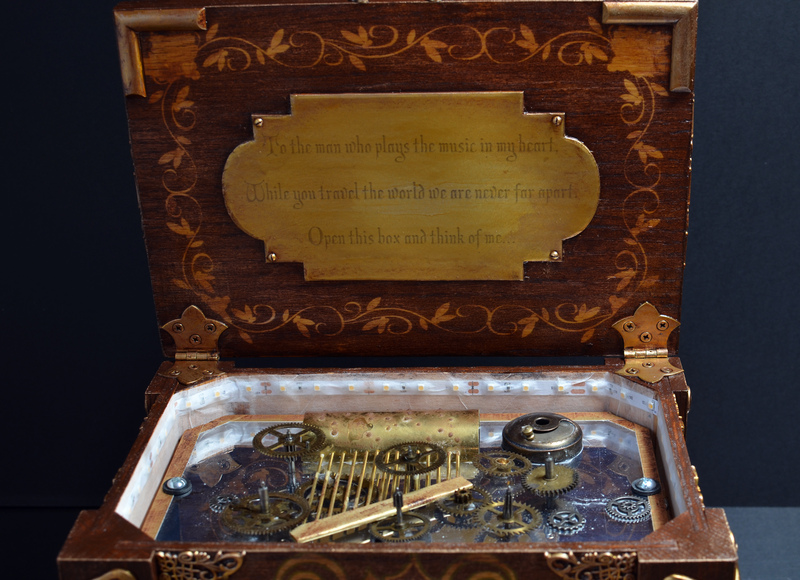 The inside of the box itself had a music box mechanism and a variety of floating gears. The handle could be turned by the actor, and it also spun magically. The inside of the box lit up as well. Oh yeah, a puff of magic smoke also came out of the box. The lights, fog, and spinning handle could all be activated independently of each other, triggered by a wireless dimmer hidden inside. I was really proud of how this turned out. These are the kinds of projects I love doing.